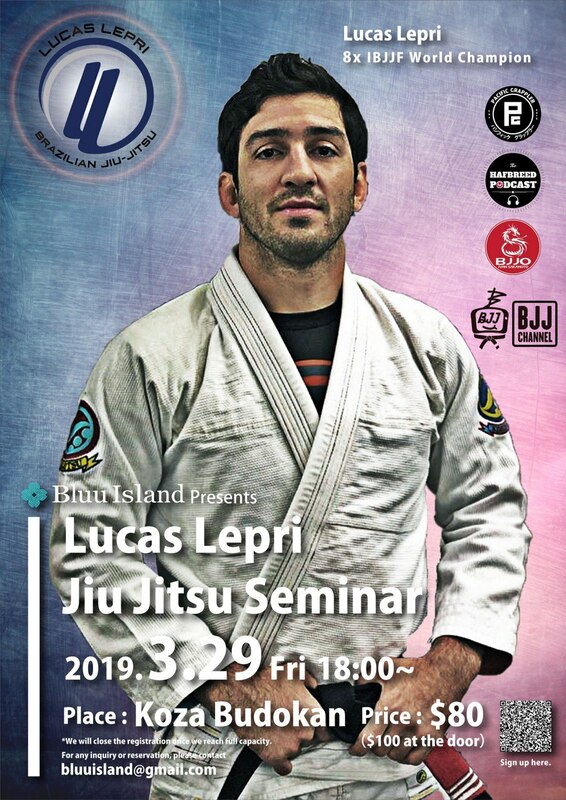 Aficionados of Brazilian Jiu Jitsu will have a field day when Lucas Lepri takes the stage to conduct a Jiu Jtsu seminar at Koza Budokan this Friday. Lepri is an eight-time world champion and one of the few who have won all four tournaments regarded as “majors” at the black belt adult level during his career. Lepri, a native of Brazil, currently lives in Charlotte, North Carolina where he trains and instructs at Lucas Lepri Brazilian Jiu Jitsu and Fitness Gym, an Alliance affiliate. He is also active in world class competitions and conducts seminars at Alliance affiliated schools around the world. Bluu Island organizes the event that starts at 6 p.m. Tickets cost $80 in advance and $100 at door, but ticket sale will close when the number of tickets sold reaches the capacity of the venue. For more information, email bluuisland@gmail.com.